DIVERSITY! If that's a word that you're getting sick of hearing, then you'd better turn around now. On Tuesday, it was rumored that Disney is considering Chris Pratt for the role of Indiana Jones and, like the rest of the world, I was like, "YASSSSSSSS!" Then, I thought about it beyond that knee-jerk reaction that crops up whenever Pratt does absolutely anything, and I couldn't help but wonder, well, why? Not why Pratt, because I would think such a thing would be self-evident, but why yet another white male lead? Especially when you consider the fact that Pratt is already a part of at least two franchises already, between Guardians of the Galaxy and Jurassic Park, and Indiana Jones would be another multimovie commitment. Instead of stacking Pratt's already full plate, can we consider an actor of color for Indiana Jones? Feel free to take a moment to get your automatic, "But Indiana Jones isn't black!" complaints out. My question does not come out of ignorance of the fact that Indy is traditionally portrayed as a Caucasian male. My actual question is why that's the only accepted portrayal of the classic hero. When children dress as Indiana Jones for Halloween, is it their skin color that matters, or is it the hat, the outfit, and perhaps a little combat whip that goes with the most iconic view of the character? If it's the clothes that make the Indy costume and not the skin color, why is it that we see white male after white male portraying Indiana Jones without someone pausing to consider that, "Hm. Maybe an actor of color would make a great Indy?" Why is it that we haven't seen a Hispanic Indy or an Asian Indy or a Black Indy or etc? When I imagine what the revelation of Disney eyeing Will Smith or Idris Elba or David Oyelowo for the role of Indiana Jones would mean to me as a Jamaican-American woman, suddenly Pratt in the race to close the deal doesn't seem like enough. I can see him in Guardians of the Galaxy or Jurassic World if I want my blockbuster Pratt franchise fix. Can we take a step back and stop casting the same Caucasian actors in franchise films? Can we hand these great, iconic, meaty roles over to actors of color instead? After all, it's not like there's a lack of talent or even a lack of people expressing interest in these roles. We all remember when Elba expressed interest in playing James Bond, and how people went absolutely wild for the idea. And many of us were there when Community's Donald Glover as Spider-Man caught fire on the Internet, so much so that even after the role inevitably went to Andrew Garfield for The Amazing Spider-Man franchise, Community threw in a joking reference to it by having Glover's character Troy Barnes wear Spider-Man pajamas. There are plenty of actors of color out there, and plenty of interest from them in portraying characters outside of their skin color for the first time as the franchise lead. So what's stopping Hollywood from giving them a shot? Will there ever be a day when we can see these iconic characters, traditionally depicted as Caucasian, portrayed by people of color instead? Or must we solely wait for our Black Panther movies or our introduction to The Falcon in Captain America: The Winter Soldier, giving what few iconic characters of color there are the occasional movie every few decades and sidekick roles in Caucasian characters' films? 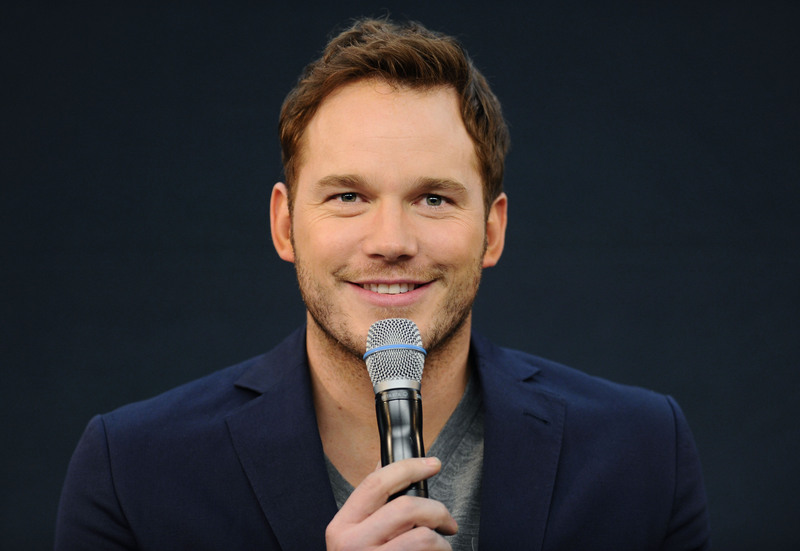 If Pratt becomes our new Indiana Jones, then I am going to be thrilled. But, at the same time, I won't be able to stop thinking about what could have been.